Compare Prices: Since many people like to move in the summer, Santa Barbara movers might have more pricing and scheduling flexibility in the spring. If you’re moving an office, moving from an apartment, or moving your family within the same school district, there are a lot of advantages to the spring move. If you are looking for experienced movers with an A+ Better Business Bureau rating, or seeking a full service moving solution, turn to the best movers Santa Barbara has to offer, Hazelwood Allied Moving & Storage. Request your free estimate today. Pack the Winter Gear First: You won’t need it for a long time, and it will help you get started on the packing process. Clearly label all the boxes with their contents, and get them out of the way so you can move on to the next area. If you want to get everything completely out of the house so you can see what you have left, consider renting one of our Santa Barbara storage units on a short-term basis. Seal Your Boxes Tightly: Depending on where you are moving, spring can be a time of heavy pollen. Make sure all of your boxes are tightly sealed so that pollen can’t get in and damage your belongings. Think About Your Garden: Before everything starts blooming, are there any bulbs or plants that you will want to take to your new location? Try and dig out what you can and store it in a cool, dry location until the move. Downsize While You Pack: Spring is often a time of cleaning and reducing clutter, so why not accomplish several goals while packing? Carefully sort your items as you are packing, and make sure you move only the necessities. Take measurements in your new home and sell anything that won’t fit in your new space. Clean everything as you pack, and you will be able to move clean possessions into your new, uncluttered home. 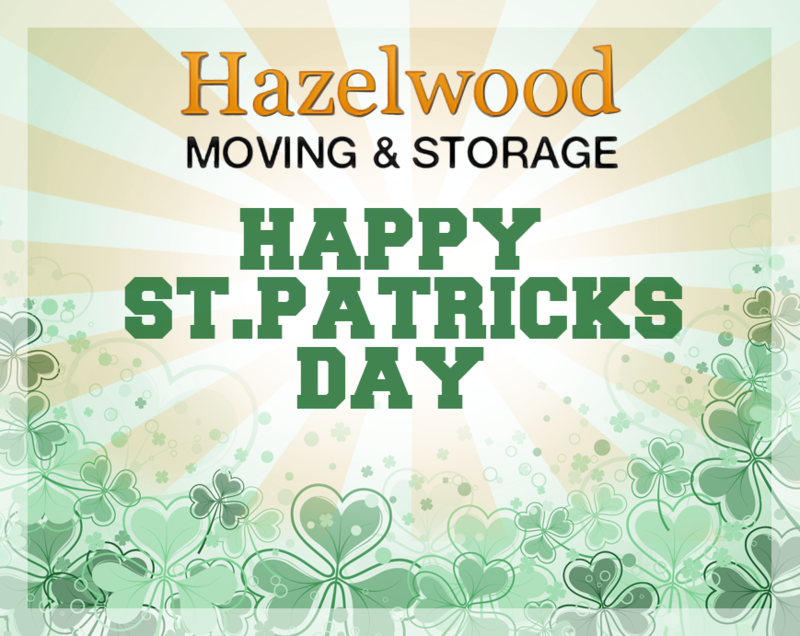 Get ready to spring into action and have a Happy St. Patrick’s Day! About Hazelwood Allied Moving and Storage: Hazelwood Allied Moving and Storage is one of the oldest family-owned businesses and moving companies Santa Barbara has to offer. The Santa Barbara moving company provides relocation services including residential moves, commercial moves, and Santa Barbara storage units. 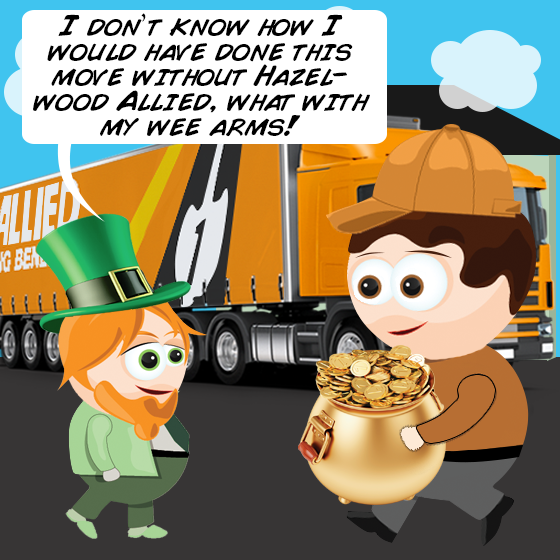 Visit the website at http://www.hazelwoodallied.com for a complimentary move analysis. “Like” the Facebook page to receive more moving tips from the Santa Barbara movers. Call 800-541-5958 for more information about moving and storage units in Santa Barbara.